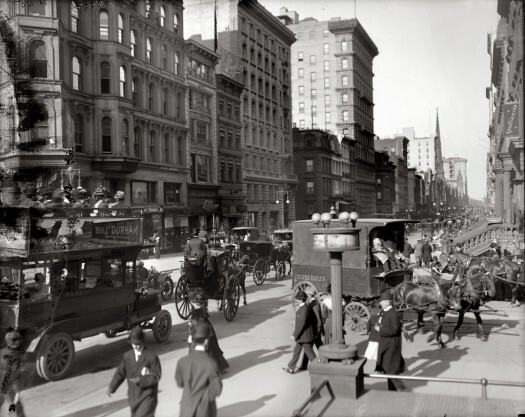 The story begins with Kate Fanning who married Michael Brolan, “Mick the tailor”, in Manhattan New York on 24 Oct 1909. Michael was from the townland of Lissaroon in Co Tipperary Ireland. 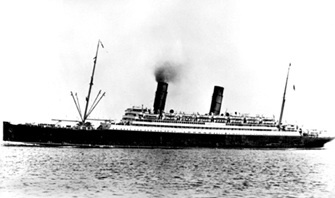 Katie arrived on the Coronia from Queenstown on 22 Sept 1909 and was 26 years old. They would have known each other and their families as they lived close to each other in Co Tipperary. Michael was born on the 5th March 1875. His parents were Patrick Michael Brolan and Mary Banan. 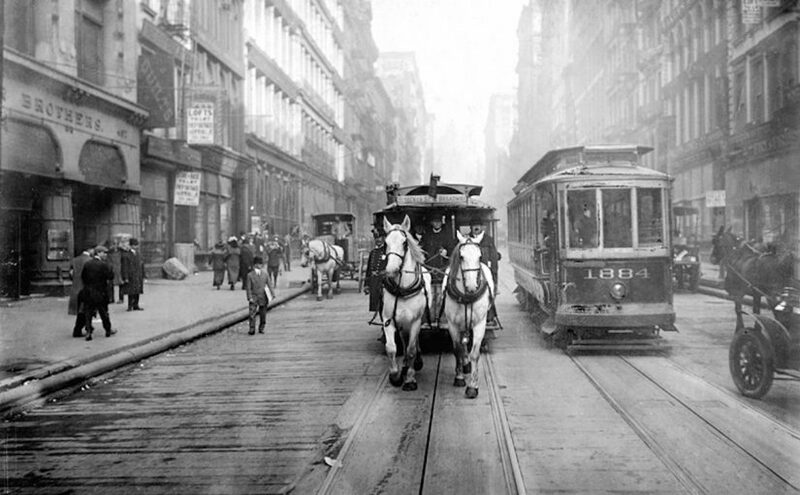 He had two uncles already in New York: Patrick Brolan who was in the US in 1850 and James Bannon who emigrated around 1869. His brother Patrick Michael born1880 arrived about 1900 and a sister, Agnes, in 1909. I have been told by a Brolan descendant that Mick and his brother Patrick left Ireland because of their involvement in anti-British politics and that there was an incident on a bridge that led to them leaving. 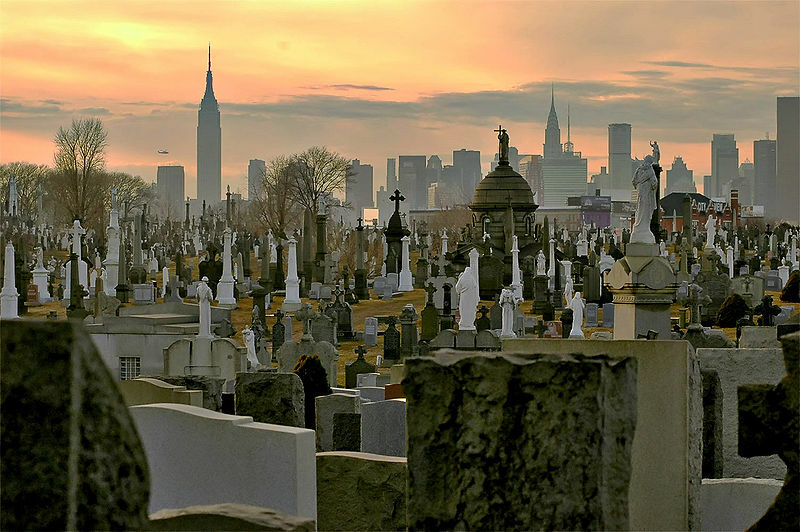 The Brolans from Lissaroon are buried in Calvary Cemetery Queens New York across from the Fenian monument. 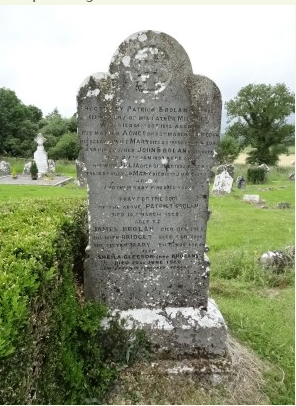 In Ireland there are quite a few Brolans buried in Inch Old Cemetery Magherareagh, Bouladuff Co Tipperary. The following Brolan headstone is from Historicgraves which gives GPS coordinates for this cemetery..
Erected By PATRICK BROLAN Lisaroon. I have also recently discovered that two of Mick the tailor Brolan’s uncles and one aunt emigrated to my home town of Melbourne. A Michael and an Anne Brolan came out in Nov 1868 on the “Conflict”. Michael and James Brolan were also tailors. His aunt Anne married John Greaney in Melbourne and had a family. James was married but seems had no children. Michael was married twice and quite possibly has descendants still living in Australia. On Victorian death records their father is Michael Brolan and mother Agnes Cormac. There was also an extensive Brolan family ( Dennis, William, John, Patrick and Bridget Brolan) living in Queensland, descendants of a William Brolan and Bridget McCarthy from Quarry St Thurles Co Tipperary. They came out before 1888. A good chance they are also related. Mary Brolan of Beaudesert Queensland Australia 1925. A descendant of the Quarry St Brolan family. Back to the story of Kate Brolan nee Fanning. 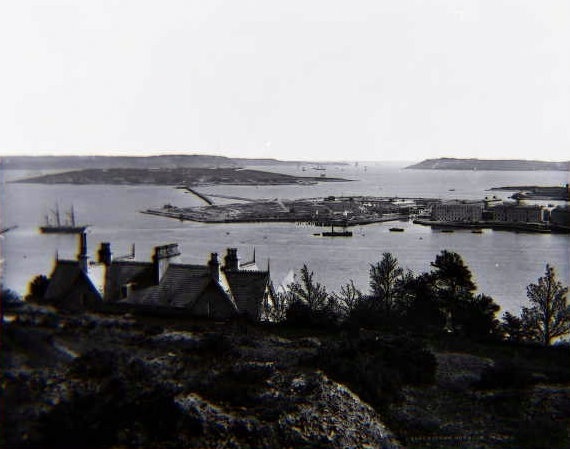 Kate sailed from Queenstown (Cobh) to New York on the Coronia in 1909. William Bannon parents were John Bannan and Mary Fanning. Mary came from Lissaroon. It is possible Kate and William were cousins. I have been told by a Brolan descendant that Kate’s family came from Lissaroon which is where my Fanning ancestors came from. I have been trying to find out how Kate is related to William Fannin and Sarah Ryan of Lissaroon. It is possible that the Fannings and Brolans are related by marriage going back. Michael Brolan was married to Agatha Cormac around 1840 and earlier about 1806 William Fannin married Honora McCormack. The Cormack or McCormack family was one of the main families living in the small townland of Lissaroon. I am looking to see if I can find out if Honoria was Agatha’s aunt. Kate’s parents were James Fanning and Alice Long. They were married in Holycross Parish in Ballycahill Catholic Church on Feb 20th 1873. Martin Eviston and Mary Long were witnesses. James was a farmer from Kill in Drom Parish and his father was John Fanning, also a farmer. Alice’s father was William Long and a farmer from Barracurra which close to Lissaroon. 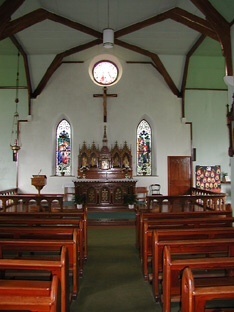 The children of James Fanning and Alice Long were all baptised in Holycross Parish. James and Alice lived at Barracurra. Margaret baptised June 18, 1874. Her godparents were John Ryan and Margaret Fanning. Then came Kate, baptised as Catherine, on 14th Nov 1875. 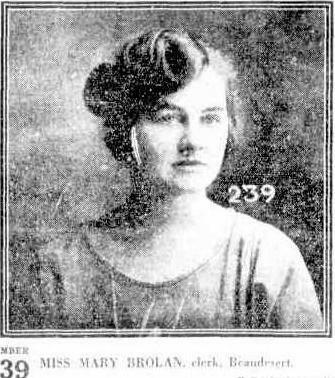 Her sponsors were William Fanning and Alice Long. After Catherine in 1877 John was born. He was baptised on 10th May 1877 and sponsors for him were Joseph Fanning and Ellen McGrath. Mary Fanning was born in 1879 and baptised on the 18th of Oct in that year. Bridget Long and Mary Fanning were sponsors. Then in 1882 Alice Fanning was born. Her sponsors were John and Joanna Banon. She was baptised on Feb 17th 1882. William Fanning was born 14th July 1884 and baptised on 28th July. The informant for all their births was Mary Darmody, except in the case of Mary. Honoria Mulcahy, an Ursuline nun, Sister Mary Baptist, was the informant for her birth. 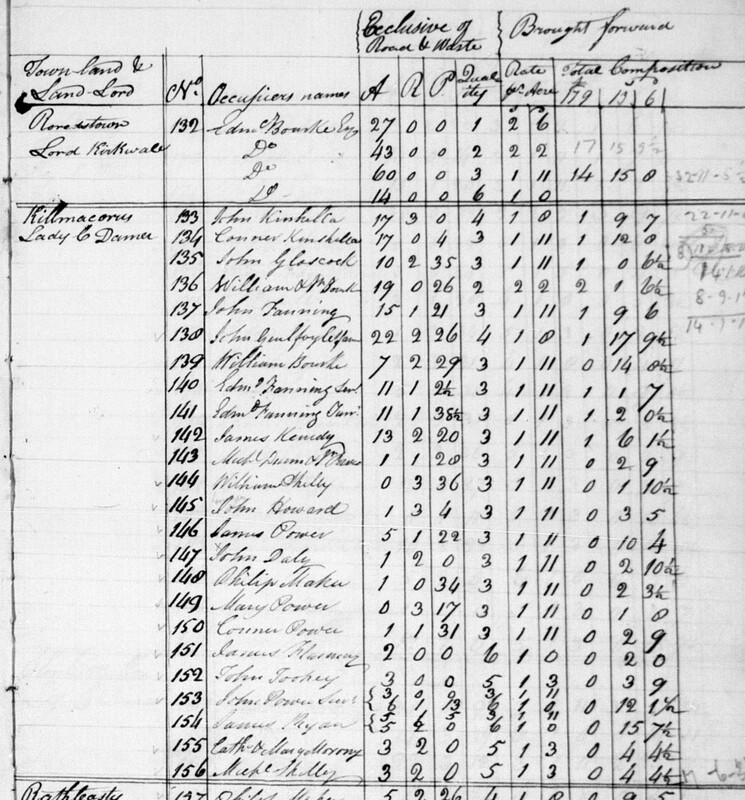 In the 1901 and 1911 Census records James and his family are living at Barracurra where Alice came from. In 1901 his age is given as 58 which would mean he was born about 1843 but in the 1911 Census his age is 72 which would make his birth about 1839. Alice Fanning died age 67, on 28 April 1912 at Barracurra. Her husband James died three years later on Dec 30, 1915 age 68. Now comes the hard part, identifying the parents of James Fanning, Kate’s grandparents. On the marriage record for James Fanning and Alice Long his address is given as Kill. This is an abbreviation. Tipperary Family History Research found only one baptism about 1840 for a James Fanning from Drom with the address as “Kill”. He was born in the Parish of Drom June 3 1838. His parents were John Fanning and Margaret Russell. Their address is was given as Kile. His godparents were Bridget and Pat Mahony. 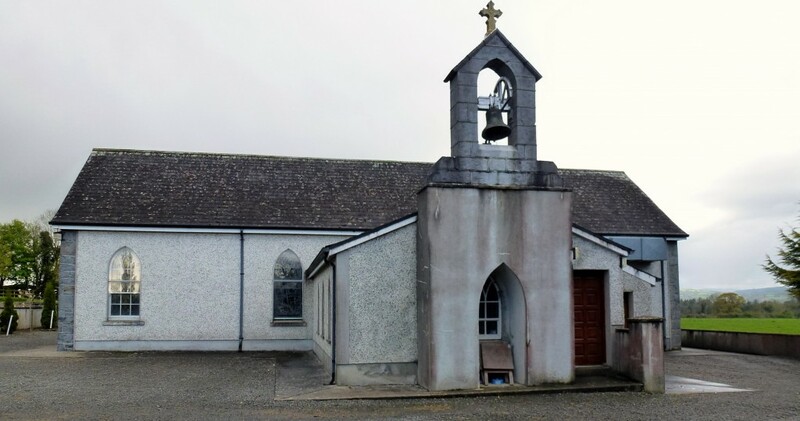 There were also Fannings living in the townland of Killahagan in Drom Parish but TFHR did not find a baptism there for James Fanning born c 1840. Living there were Thomas, John senior and John jnr Fannon. 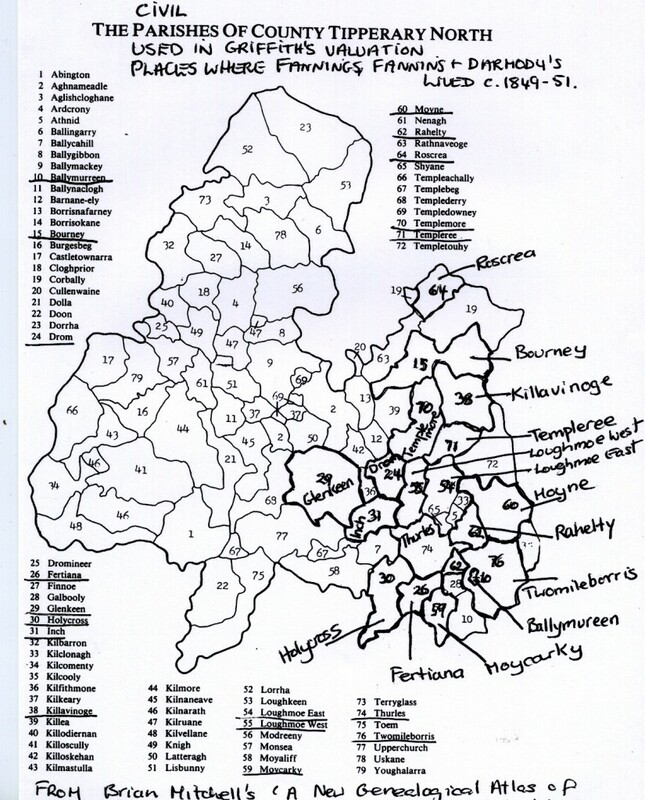 On the above map you can see that the two townlands, Kilvilcorris and Killahagan are next to each other. John Fanning and Margaret Russell were married in 1827 in Drom Parish Co Tipperary. I am waiting for TFHR to send me their marriage record which hopefully will have John’s father’s name and maybe an address. Unfortunately their marriage record has no parents or address! They were married in Drom Parish on Jan 30 1827 and William Russell and William Purcell were witnesses. The Tithe Applotment Books are now online at the National Archives site. 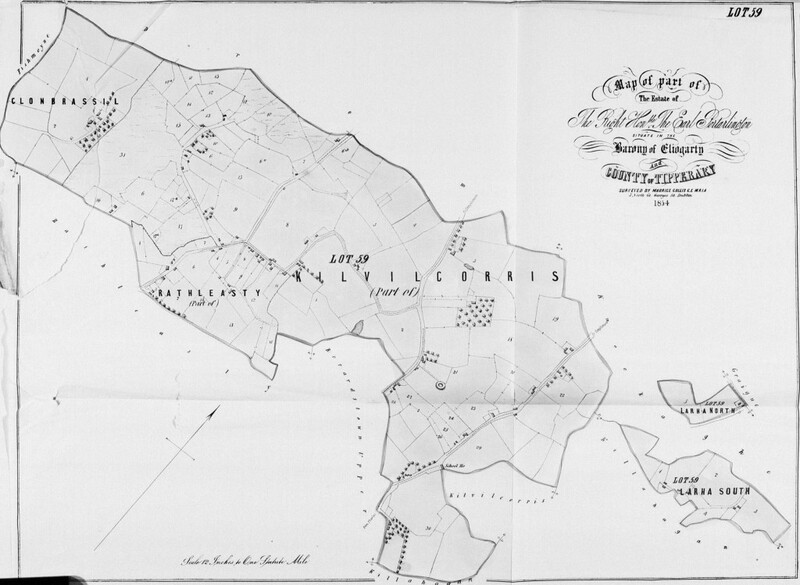 In 1825 in the townland of Kilvacorus there is a John Fanning with 15 acres and a Edm Fanning senior with 11 acres and a Edm Fanning junior with 11 acres also. These are most likely John’s father and brother. I have had all this information in a folder and have not added it to any family trees as I am not absolutely sure that the parents of James Fanning are John Fanning and Margaret Russell and how they are related to my Fanning ancestors. I am posting all I have in the hope someone may be able to confirm or otherwise or add to what I have. Nothing much will happen if it all stays in the folder! I am at the stage in my research of the Fanning family in Co Tipp where I have exhausted all the sources I can online and all the new information and stories and photos come from readers contacting me, which I love. Edward Fanning baptised Jan 18 1828 , address Kile. Sponsors were James Fanning and Cath Russell. William Fanning baptised 29 March 1831. Address given as Kille. Sponsors were Joe Fanning and Mary Donovan. William married Emma Flynn. Laurence and Margaret Fanning are listed as their children in the 1901 Census. I have a marriage record for them from familysearch.org for 16 Oct 1880 Kill Drom. She is listed as Amy Flynn Fanning. On the 1901 Census her name is written as Anny Fanning. Catherine Fanning baptised 28 July 1833. Address Kille. Sponsors were Thomas Doherty and Mary Fanning. James Fanning baptised June 3 1838. Address Kile. Sponsors Pat and Bridget Mahony. Joseph Fanning baptised July 12 1840. Address Kile. Sponsor was Ellen Gleeson. Margaret Fanning baptised June 28 1842. Address Drom. Sponsors Edm Fanning and Mary Russell. Johanna Fanning baptised Jan 1 1845. Address Kill. Sponsors were Michael Ryan and Mary Fanning. 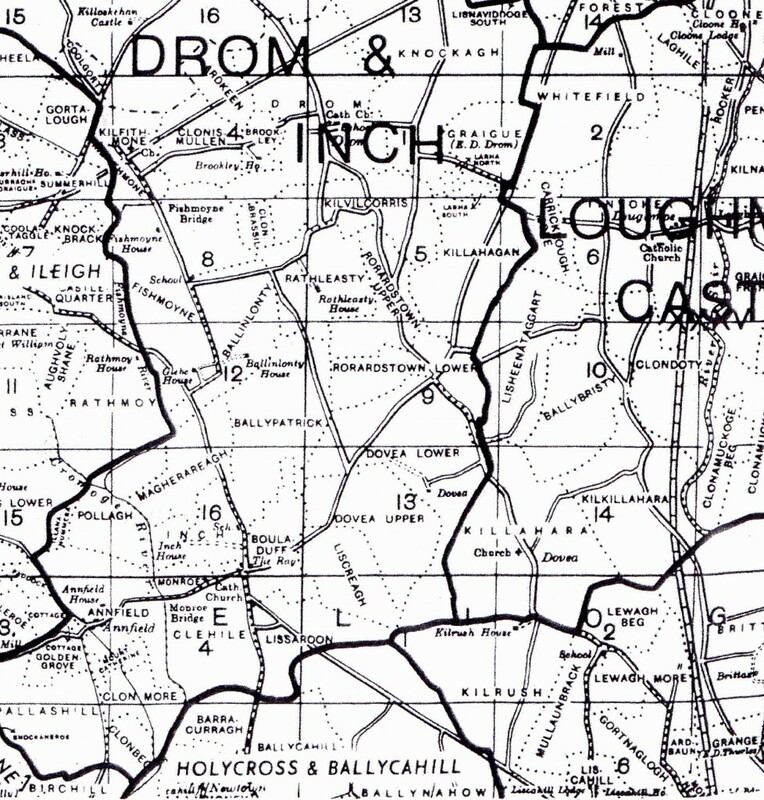 John Fanning Poor Law Union of Thurles, Parish of Drom, Townland of Drom. Map reference 8. Street Number 37A. House,Office and garden: 31 perches, net annual value of land: 3 shillings, net annual value of buildings: 6 pounds 15 shillings. Mar 1850. Joseph Fanning Poor Law Union of Thurles, Parish of Drom, Townland of Drom. Street no 50A. House, offices, and land: 26 acres 2 roods 22 perches, net annual value of land: 27 pounds 16 shillings, net annual value of buildings 4 pounds 1 shilling. 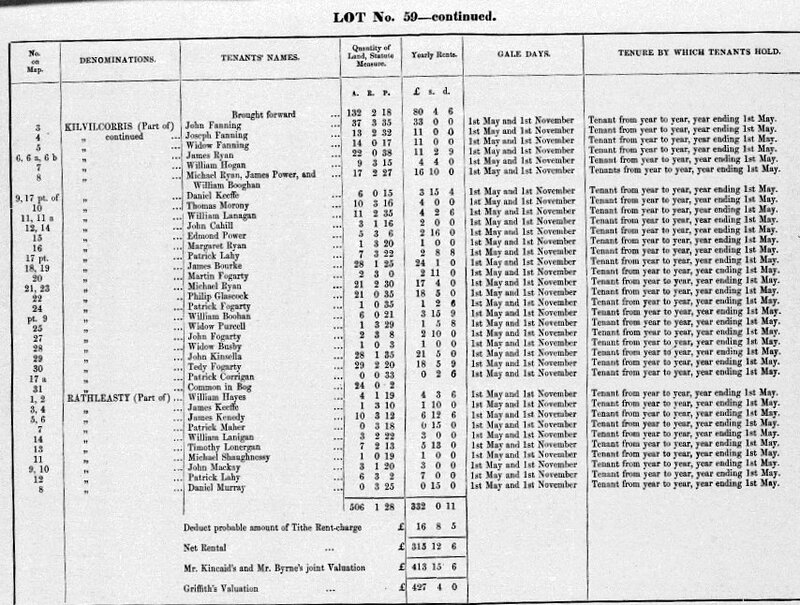 No 50B is leased by Joseph Fanning to Judith Harris and consists of a house with a net annual value of 14 shillings. Map reference 45. Mar 1850. In the 1911 Census there is no house No 12 or other Fannings living in Kilvilcorris other than those at No 6. John and Margaret Fanning nee Russell and other family members are buried in the New Drom Cemetery in Co Tipperary. The gravestone has been transcribed but is very hard to read. 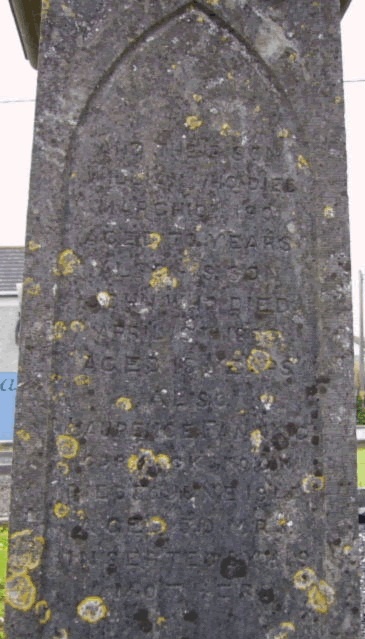 Erected to the memory of John Fanning of Kilvacorus who died Aug 15 1873 aged 31, also in memory of Margaret MaGrath. John Fanning died Aug 20 1876 aged 90 years. Also his wife and Margaret Russell who died June 15 1882 aged 86. 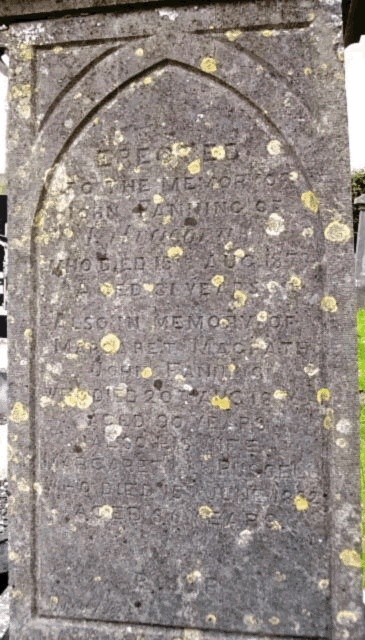 The gravestone inscription record from Irish Family History Foundation has John’s age as 90 and date of death as 20 August 1876. This side has been transcribed as “And their son William who died March 10 1903? aged 70 ?years also his son John who died April ?? aged? also Laurence Fanning died June 19?? aged 50 years inserted by his mother. It is so hard to read that some of the above may be guesses. John Fanning of Kill died age 36 on 15 August 1873. The informant being William Fanning of Kill. John Fanning of Drom died 23 July 1875, aged 23. Informant was Mary Fanning. John Fanning of Drom in the Parish of Templemore died Dec 7, 1876 aged 84. John Fanning the son of William died age 18 on 25 Feb 1899. William who was Katie Fanning’s uncle died March 13 1901 of influenza. He was 70. His wife is listed as Anny Fanning. This is as far as I can go with my quest to find how Katie is related to William Fannin and Sarah Ryan of Lissaroon. From the Tithe Applotment Book it looks like an Edmond Fanning was the father of John Fanning who married Margaret Russell. I was told the Fannins came to Lissaroon about 1741. William Fannin was born about 1731, so he was about ten years old. Edward Fannin senior on the Kilvacorrus Tithe Applotment page could be his brother which would mean that Lisaroon was his home. I have been told by a Brolan descendant that in Ballycahill Cemetery there is a Darmody grave which also has two of Kate Brolan nee Fanning’s siblings buried there as well.